Frederick “Fred” Richardson was born in Chicago, Illinois, on October 26, 1862. His birth information was found in several books: American Statesman (1907), Herringshaw’s National Library of American Biography, Volume V (1914), Who Was Who in American History, Arts and Letters, Volume 3 (1975), and Who’s Who in America 1908–1909. In the 1870 U.S. Federal Census, Richardson was the youngest of two sons born to William and Belinda. His father was a “pork & beef packer”. Richardson has not yet been found in the 1880 census. Who’s Who in America said Richardson’s education was in St. Louis, Missouri, and his art training at the St. Louis School of Fine Arts, and the Academie Julian, in Paris, France. The American Art Annual, Volume III (1900) said he was a pupil of Henri Lucien Doucet and Jules Joseph Lefebvre, in Paris. His painted work was exhibited in the Paris Salon, 1889. The 1885 Lakeside Annual Directory of the City of Chicago listed Richardson at 174 West Jackson. Around 1885 Richardson resided in Kansas City, Missouri, according to the Philadelphia Times, July 10, 1887. About 1885, a group of artists who had rooms in the Deardorf building on the southeast corner of Eleventh and Main streets, at that time the studio quarters for the city, furnished the impulse which led to the earliest art organization. 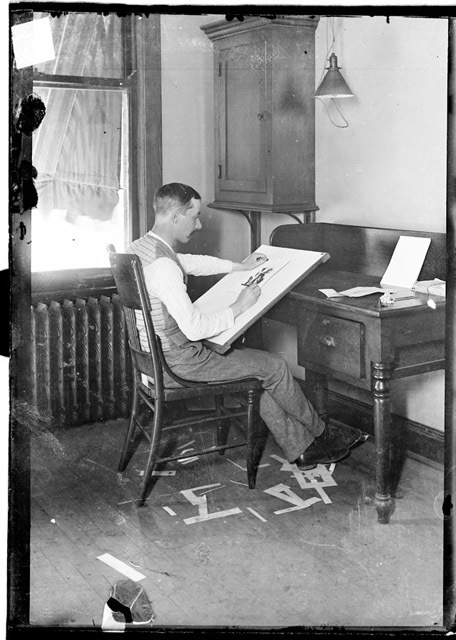 Mr. Fred Richardson, long connected with the Fine Arts Institute of Chicago, suggested the formation of a sketch club http://blogs.kcai.edu/125/2010/01/08/a-sketch-club-started-it-all-1885-1907/ to consist of laymen and artists, meeting from house to house, to talk over art matters in general, and to judge pictures made by the members, in illustration of a subject previously given out…. According to Who’s Who in America, Richardson was on staff of the Chicago Daily News for 15 years, and was an instructor at the Art Institute for seven years. Richardson’s drawings appeared in the March, April and May 1896 issues of The Chap-Book. Richardson was praised in the Inland Printer, November 1897. American Newspaper Comics (2012) said Richardson produced two series for the Chicago Daily News. First was a full-page of comics, on various subjects, that ran from January 2, 1897–November 2, 1901. Next was Captain John Smith and Pocahontas Come to Life that ran from August 5 to September 17, 1907.On January 2, 1897 Richardson married Josephine Welles in Chicago, according to the Cook County, Illinois Marriages Index at Ancestry.com. 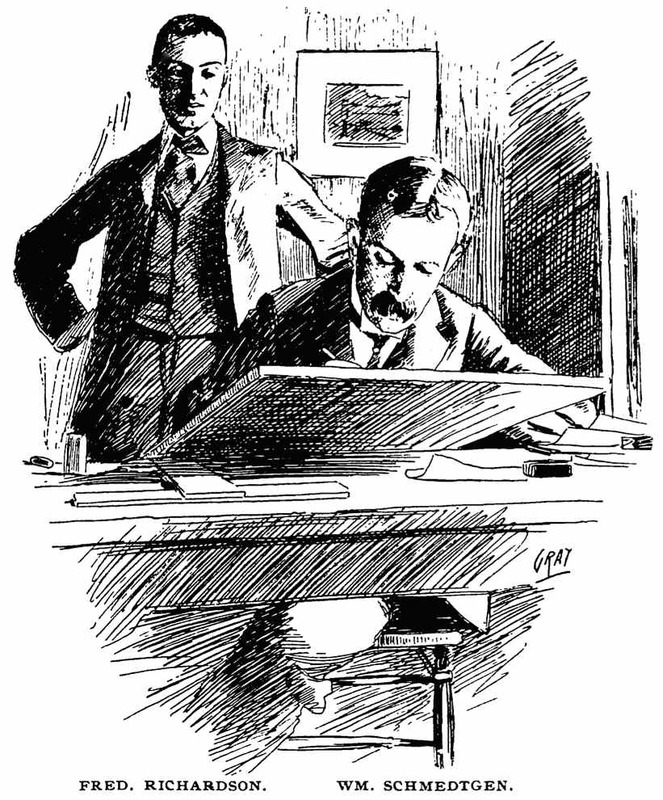 Richardson was profiled in Brush and Pencil, March 1898. The Book of Drawings by Fred Richardson, published in 1899, was a selection of his work for the Chicago Daily News. Artist Richardson, his wife, two sons, mother and a servant lived in Park Ridge, Illinois, as recorded in the 1900 census. The Inland Printer, May 1901, said the composition classes at the Art Institute of Chicago were under Richardson’s direction. In 1903 Richardson moved to New York City according to the New York Times, January 16, 1937. The 1905 New York state census said Richardson was a resident of Eastchester in Westchester County. Richardson illustrated L. Frank Baum’s Queen Zixi of Ix which was serialized in St. Nicholas magazine beginning November 1904. In 1906 Richardson’s illustrated column “Easy Lessons in Drawing” appeared in newspapers including the Willmar Tribune (Minnesota). Some of Richardson’s drawings were showcased in The Studio, January 15, 1906. Who’s Who in America said he resided, in 1908, in Tuckahoe, New York. Richardson was on the faculty of the W. Martin Johnson School of Art in New York City. According to the 1910 census, Richardson was a widower in Illinois, Maine Township, Village of Park Ridge, on Grant Place. The Inland Printer, January 1910, featured Richardson’s art in the article “The Art of Fable-Making”. Richardson illustrated the Volland Edition of Mother Goose. American Art Annual, Volume XIV (1918) had this entry for Richardson. Richardson, Frederick, Century Assoc., 7 West 43d St., New York, N.Y.; Cliff Dwellers, Chicago. I., P., T.—Born Chicago, Ill., Oct. 26, 1862. Pupil of St. Louis School of Fine Arts; Doucet and Lefebvre in Paris. Member: Century Assoc. ; SI 1905. Richardson has not yet been found in the 1920 census. Richardson was recorded in the 1925 New York state census. He resided in Bedford, Westchester County on Cherry Street. The 1930 census said Richardson, his son, David, and housekeeper were in Lewisboro, Westchester County, New York on Spring Street. The New York Times, July 17, 1936, said David died of a heart attack, at home in Bedford, on the 16th. Richardson passed away January 15, 1937, in New York City. The following day his death was reported in the New York Times which said he had suffered from pneumonia and died at the Regent Nursing Home. He lived at 7 West 43rd Street. 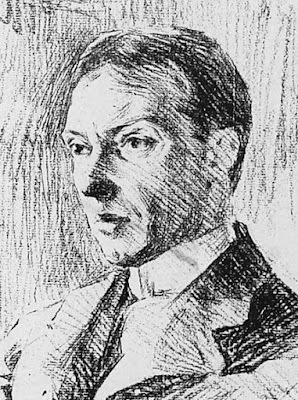 Richardson was a member of the American Federation of Arts and the Society of Illustrators, the Cliff Dwellers Club in Chicago, and the Century and MacDowell Clubs of New York. He was survived by his son, Alan Barbour Richardson, of 108 West 43rd Street. Richardson was laid to rest at Graceland Cemetery.